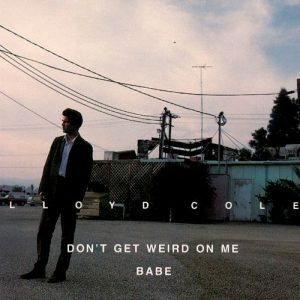 Ignoring the advice that was right there in the title, 1991’s Don’t Get Weird on Me Babe was the first misfire in Lloyd Cole’s career. Conceptually, it was kind of cool: instead of mixing the orchestral songs he’d cooked up with the help of the legendary Paul Buckmaster in with his reliable jangly guitar songs, he stuck all of the rock songs on one side and the orchestral songs on the other side. For me, in 1991, it just didn’t work. It wasn’t that I was necessarily against the slower, string-laden tunes — I’d loved his solo debut’s “A Long Way Down,” though that might have been partly because of “when it’s 4:00AM and mister you can’t sleep / cos your blood’s still rushing a cocaine speed” — it’s just that I wasn’t necessarily for them, either. And by concentrating all of the slow songs at back half of the CD (at least for the U.S. version, I think it was the other way around for the U.K.), it made it easy for rock snobs like me to ignore them and never have any sneak up on me. So none of them ever have. 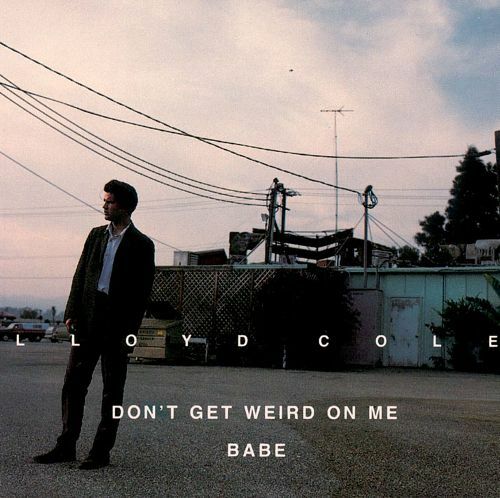 Lloyd Cole’s Bob Dylan fixation has always been front and center in his songwriting from “Perfect Skin” forward, but maybe never more so than “Tell Your Sister,” which nicks “down on Rue Morgue Avenue” from “Just Like Tom Thumb’s Blues” as the end of nearly verse, and as a topper, the woman to whom he’s addressing the song is Rita May. With Quine coating the song with his usual fairy dust, Sweet’s backing vocals on the chorus and Maher & Cowan driving it home, “Tell Your Sister” is a peak for the album that it never quite reaches again.